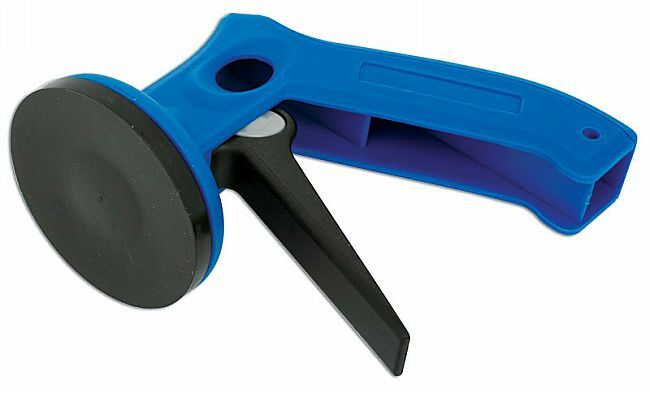 RH drive rewind tool. 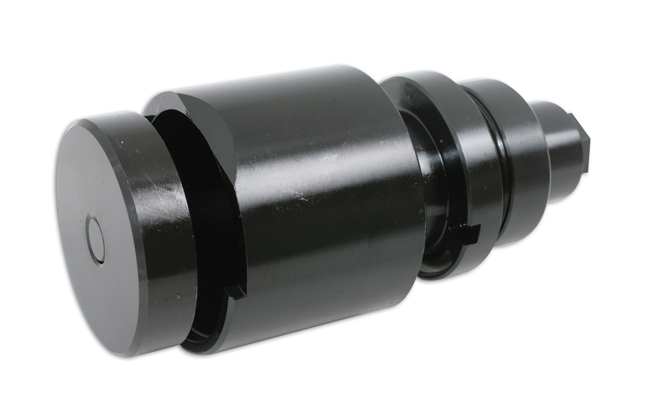 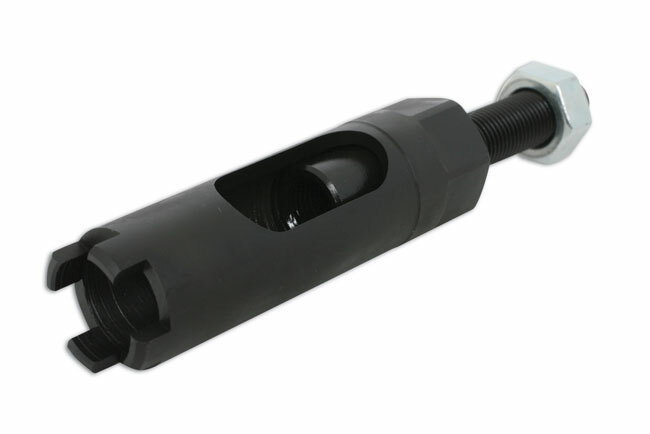 Adaptor 1 = 22mm PCD, 6mm diameter pin. 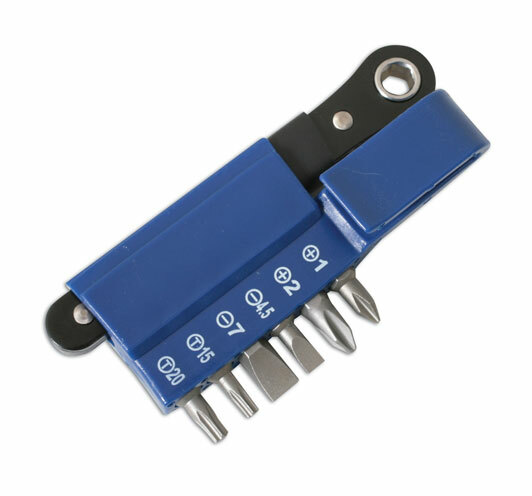 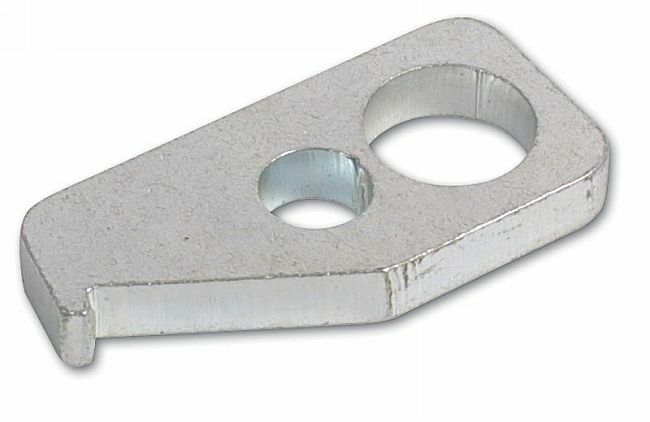 Adaptor 2 = 32.5mm PCD, 6mm diameter pins Reaction plate included. 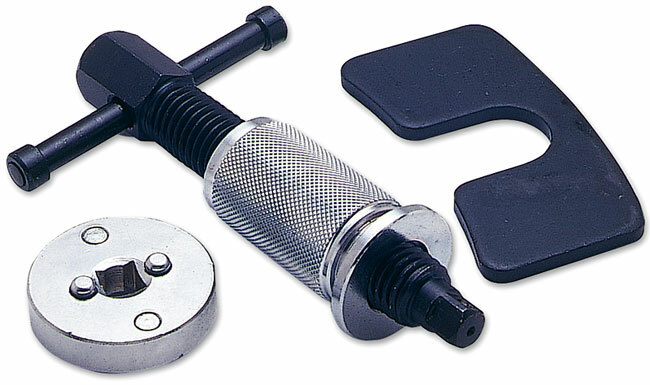 Adaptor No 1: Most popular Japanese and European vehicles. 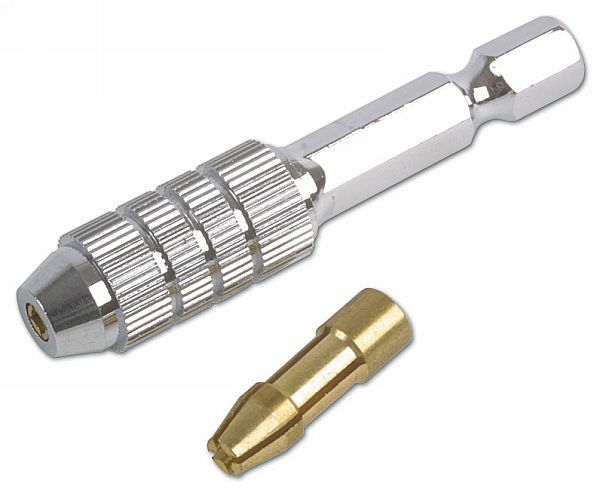 Adaptor No 2: Most Ford, Mazda, Mitsubishi, Toyota. 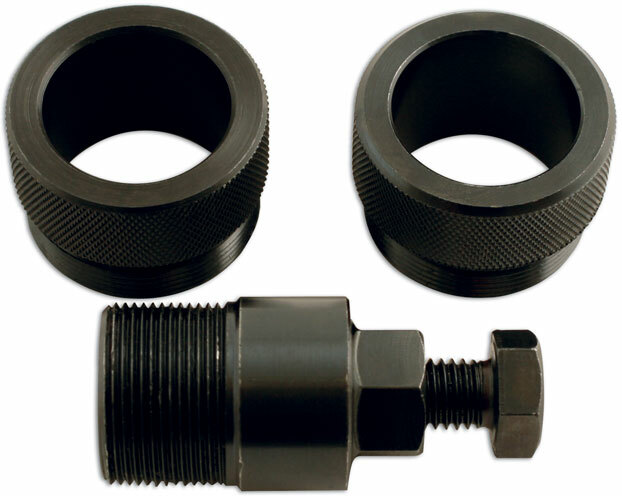 Includes 6mm setting pin and washer. 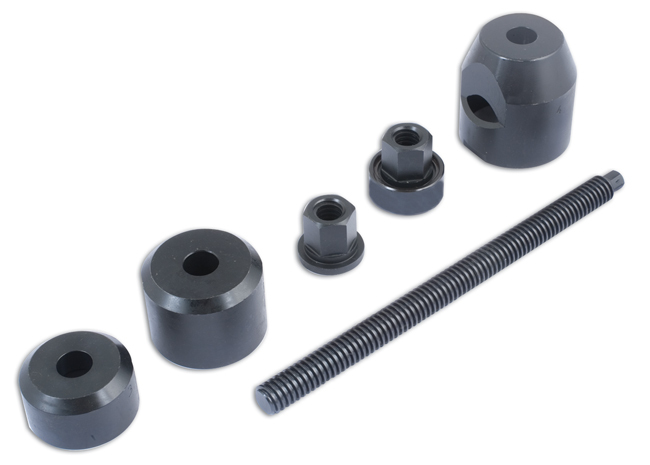 6mm setting pin, 8mm setting screw, 9.5mm setting. 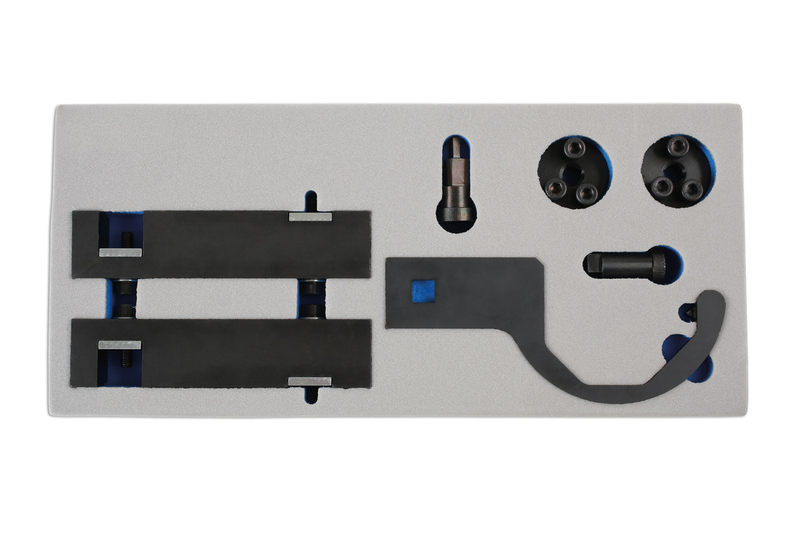 Also includes TDC setting screw and setting bracket. 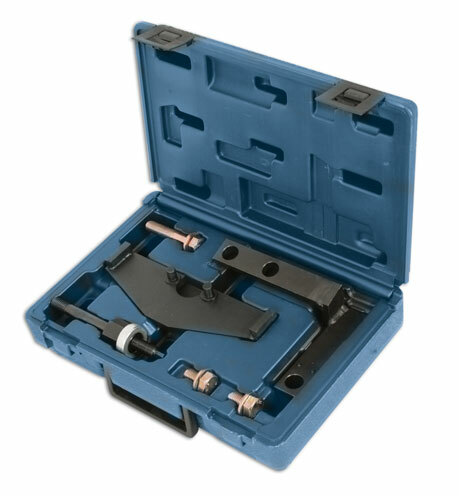 Essential tool for setting and locking the camshaft. 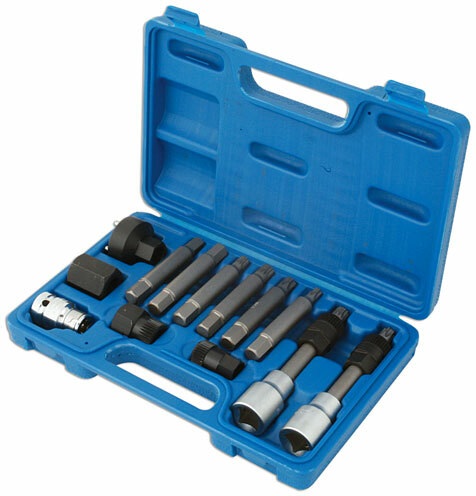 Suitable for Ford 1.6, 1.8 and 2.5 litre diesel engines. 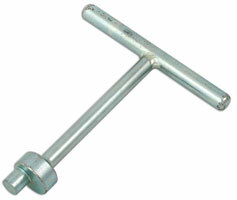 Magnetic pick-up tool. 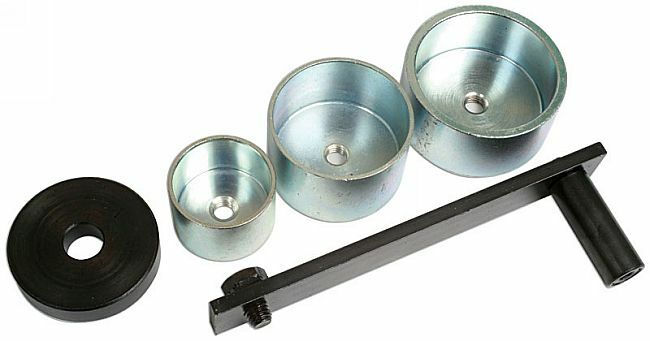 Inspection mirror. 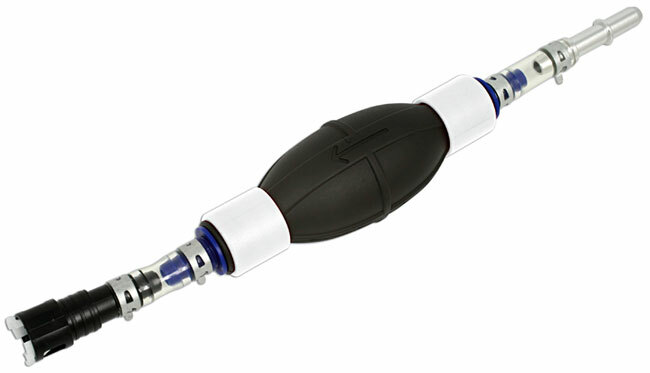 Windscreen washer probe. 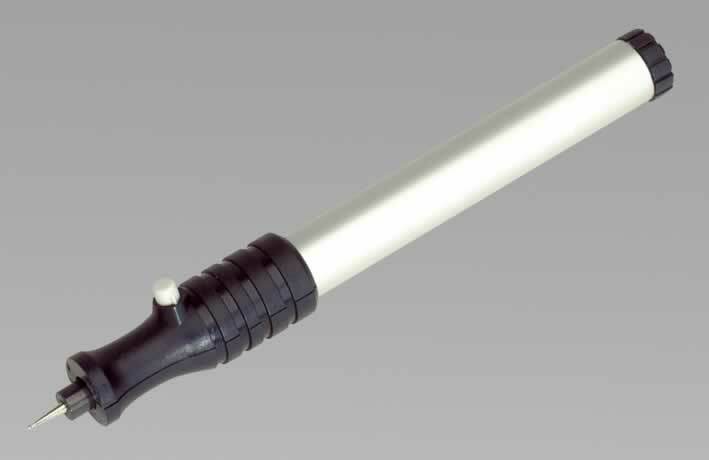 Pen with clip. 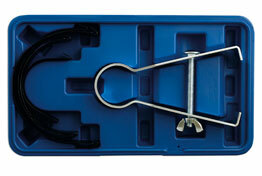 Great multi-functional tool for the glovebox. 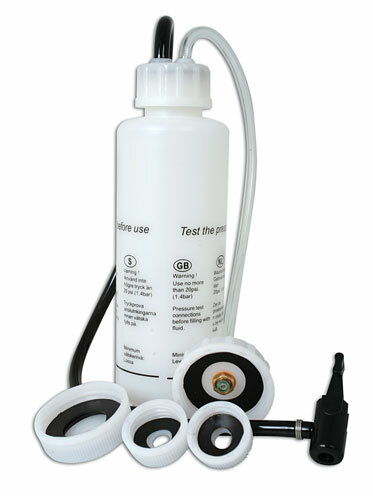 Used on 1.9 TDI engines. 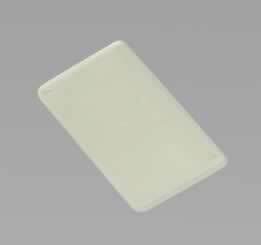 OEM Ref: T10098|3418. 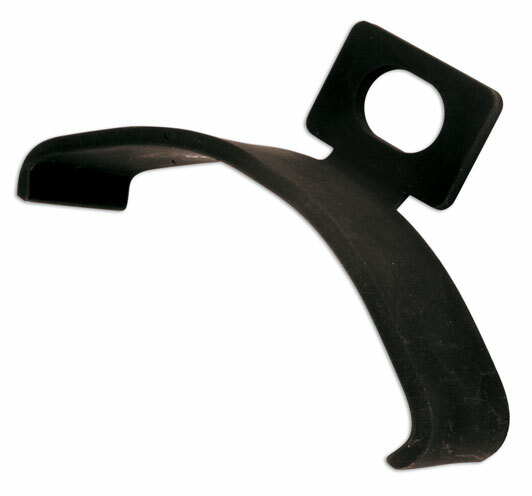 Use on Seat Cordoba | Ibiza | Inca | Leon | Toledo (1999-2006). 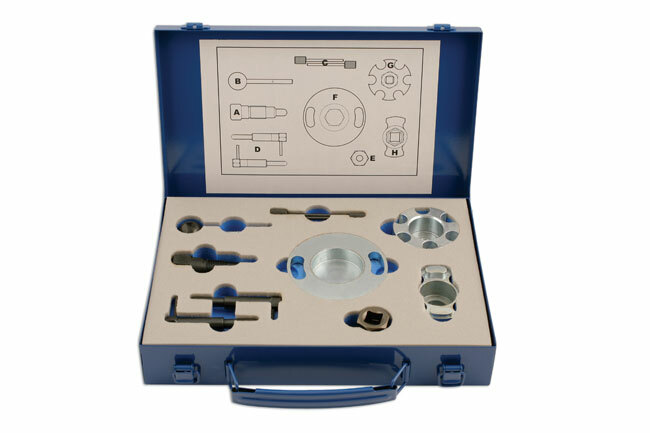 Engine timing locking set for Brava | Bravo | Coupé | Marea | Marea Weekend | Tipo | Stilo 1.6 12v | 16v with engine codes: 182 A4.000, 182 A6.000, 182 B6.000. 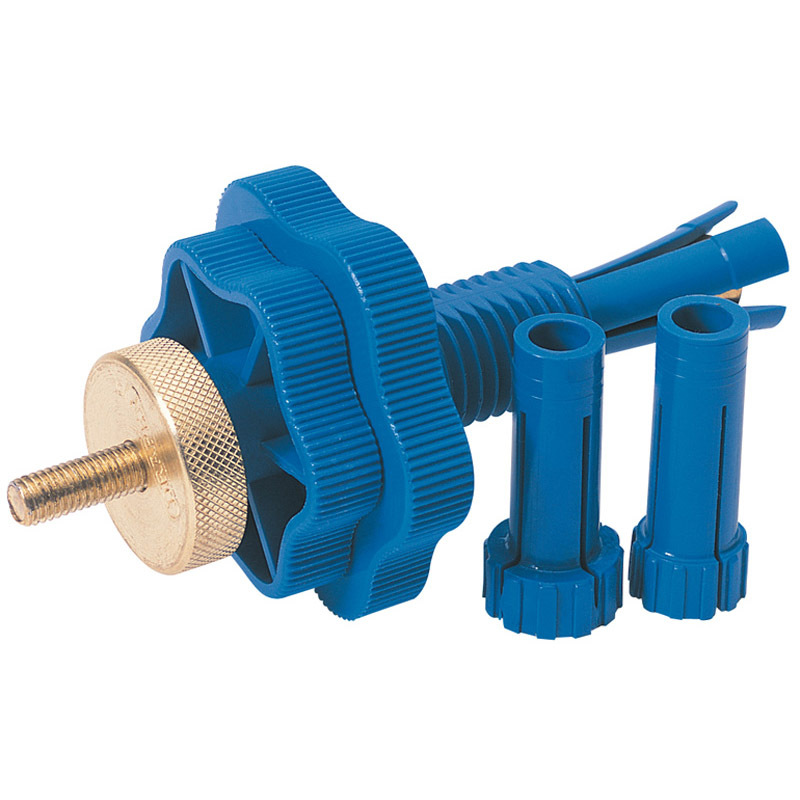 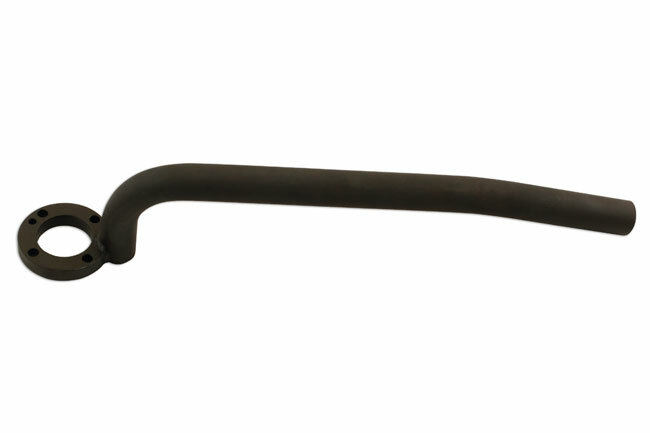 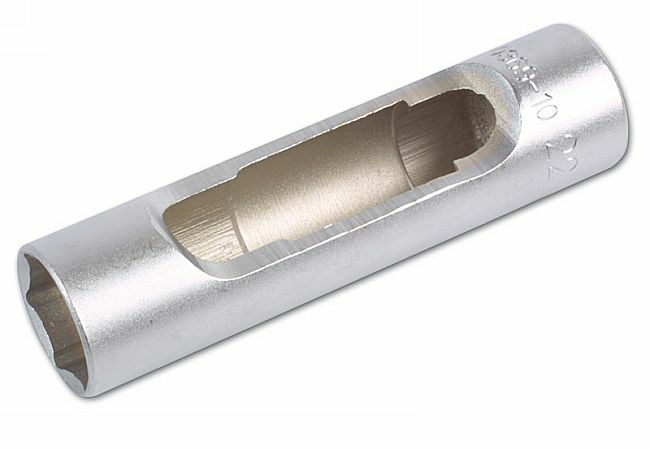 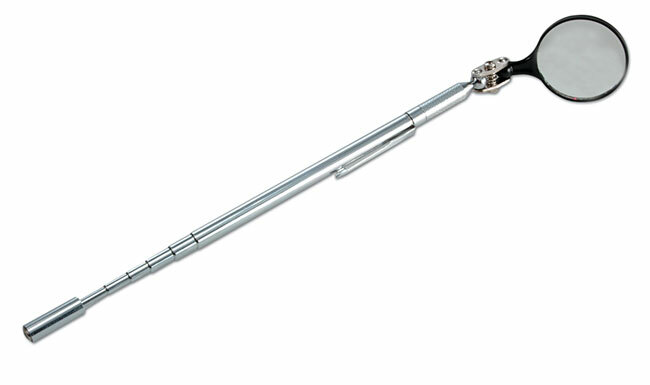 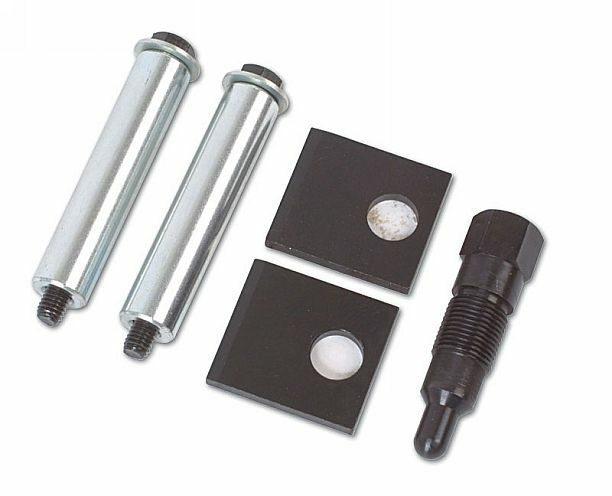 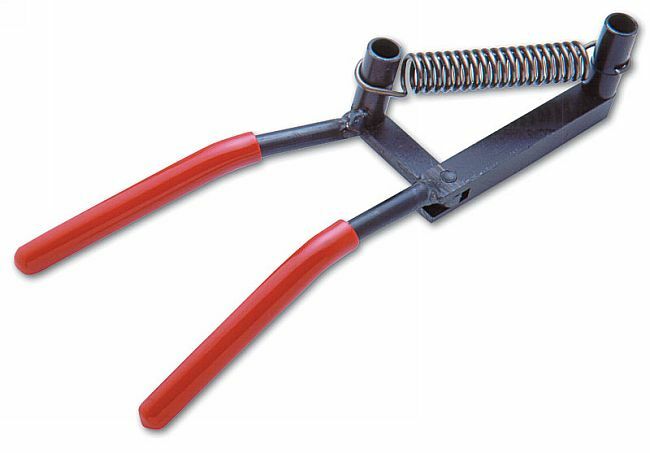 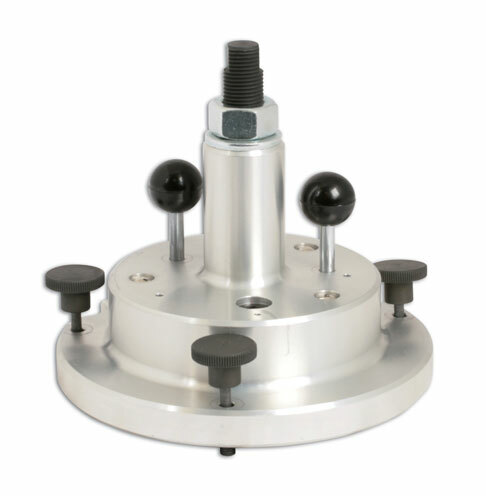 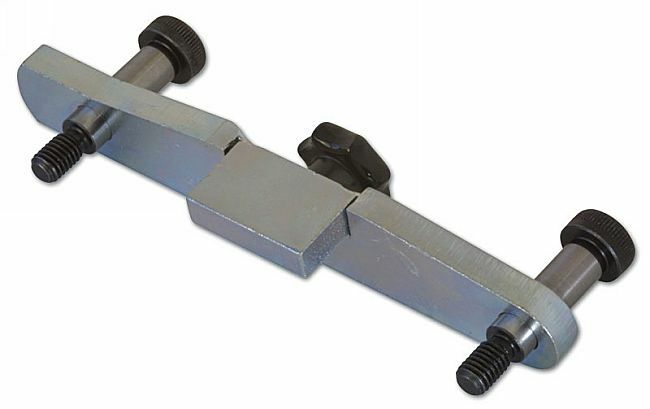 The tensioning tool includes the facility to interchange the connection screw from M8 to M10 as introduced on models from 2000 onwards. 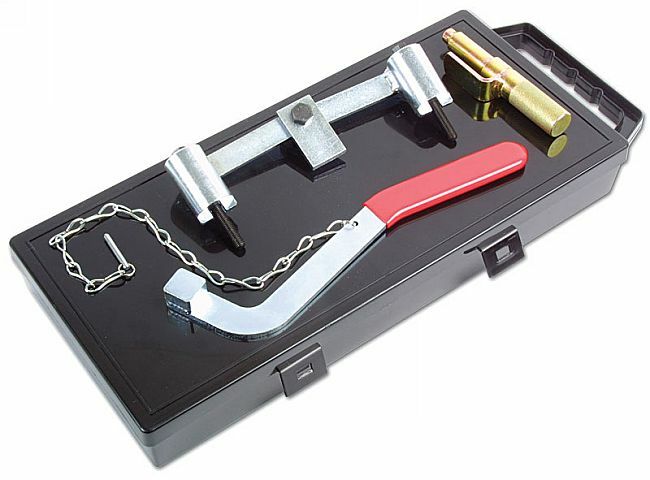 This comprehensive set of tools enables the correct engine timing to be made when replacing the timing belt. 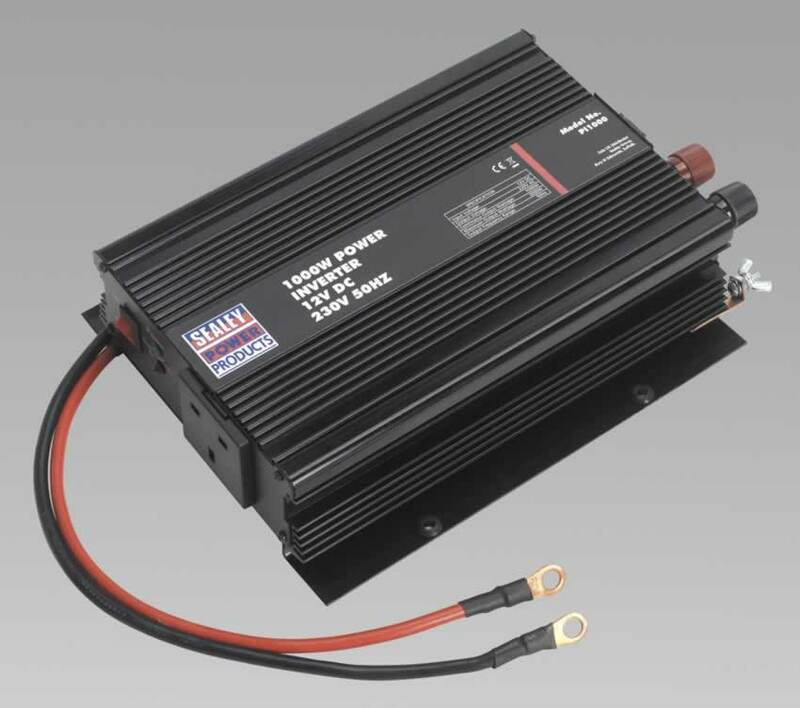 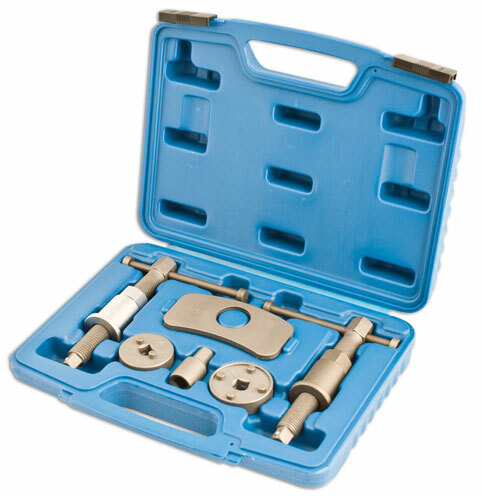 Suitable for use on the most recent engines with either HPi (petrol) or HDi (diesel) engines. 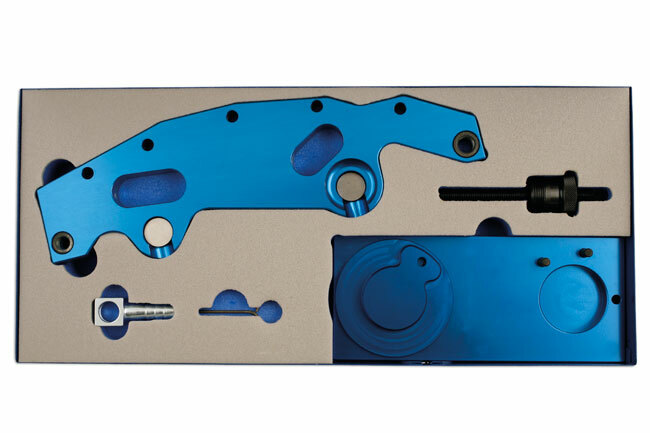 Full application list and OEM codes are included. 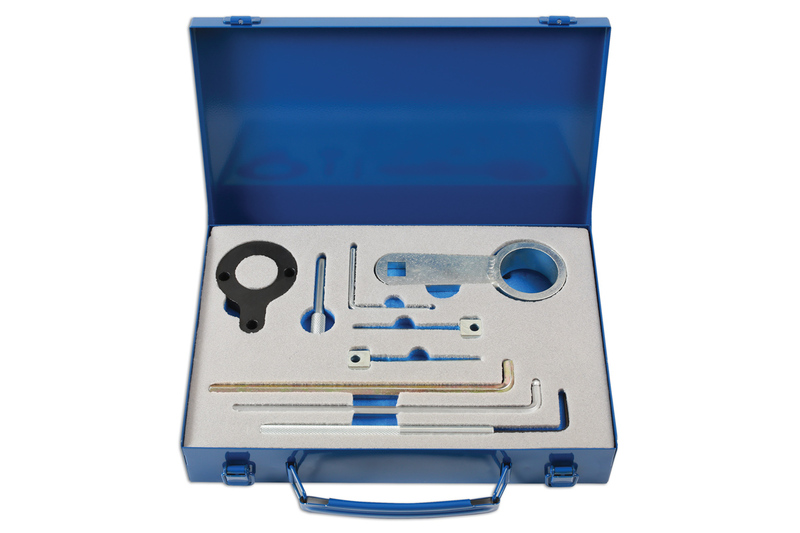 This timing tool kit covers most engines in the Ford range (pre 2007) including both petrol and diesel and the Zetec engine. 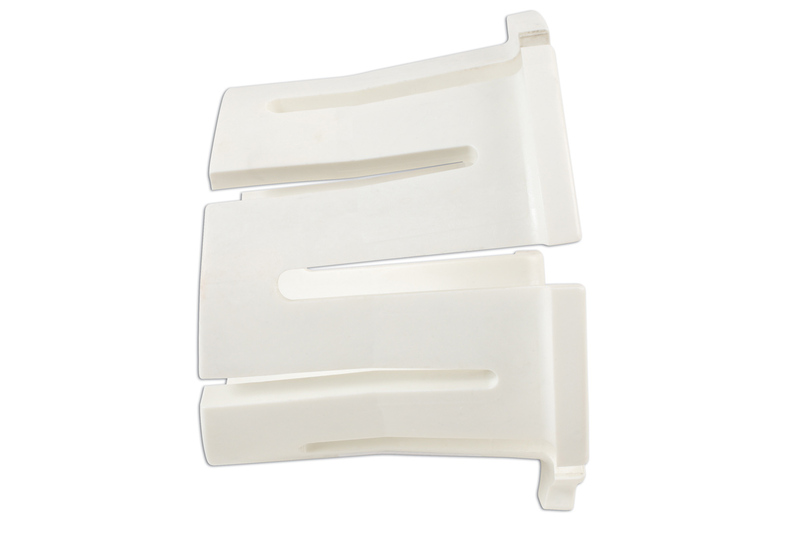 Supplied in foam tray with full OEM codes and application list included. 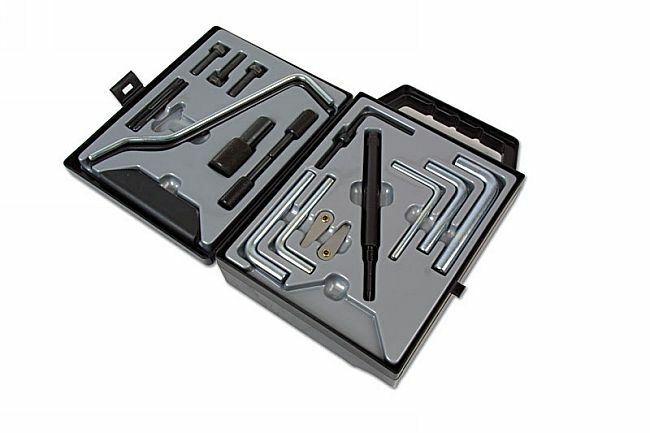 Covers most engines in the Ford range (pre 2007) including both petrol and diesel and the Zetec engine. 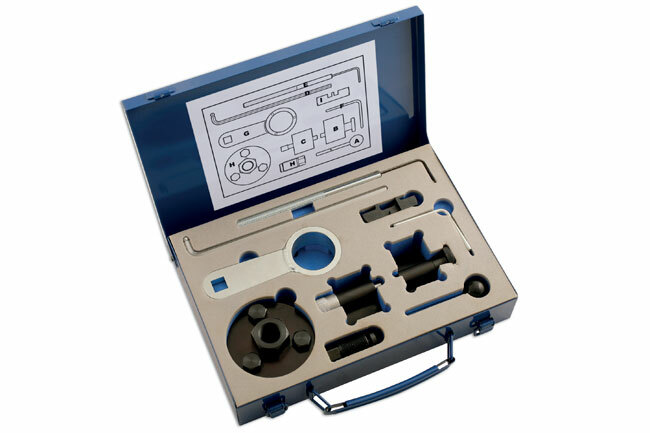 Additional Information This tool is required on engines where the flywheel and crankshaft must be held at the correct timing position. 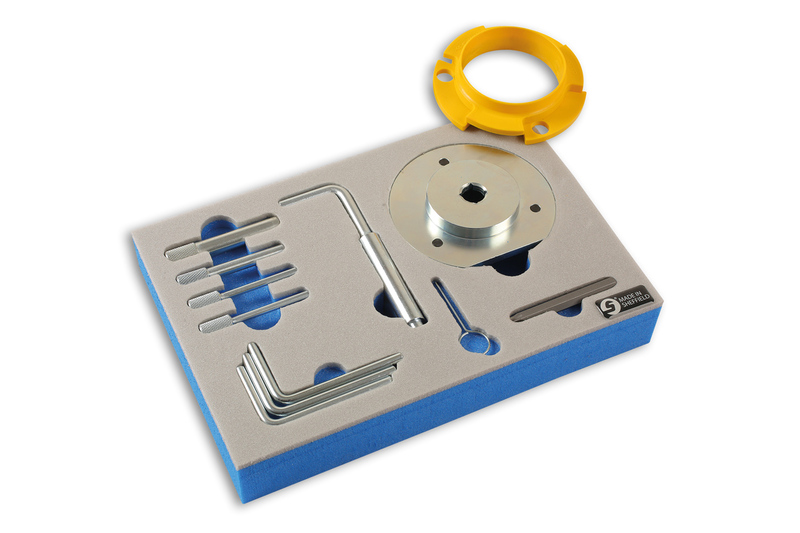 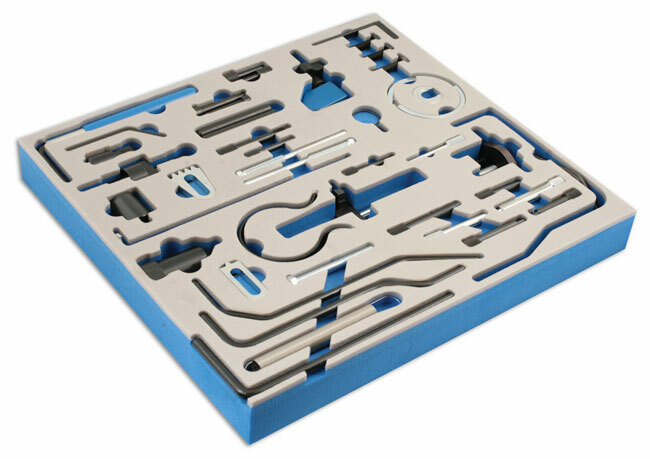 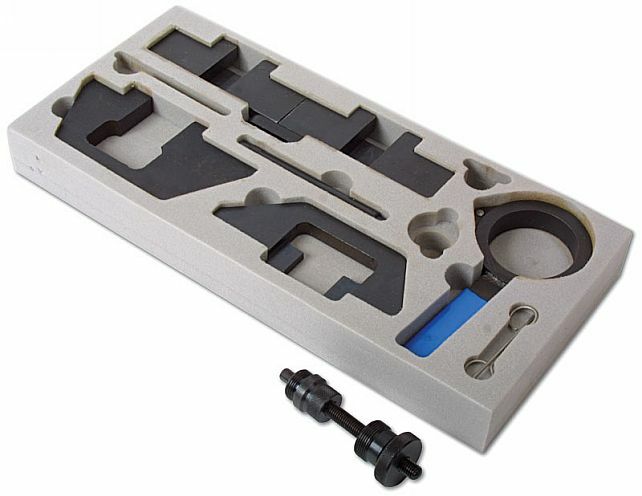 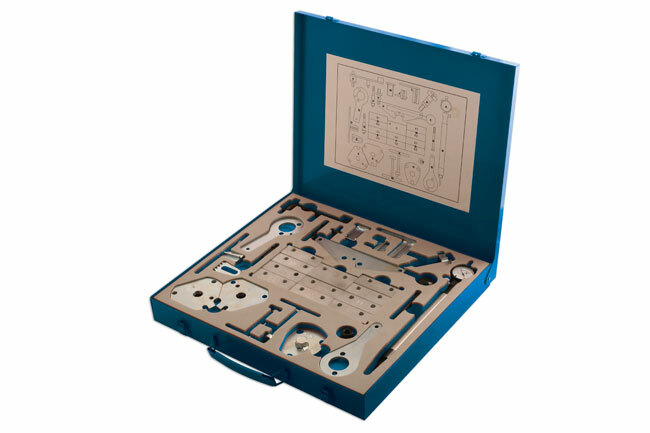 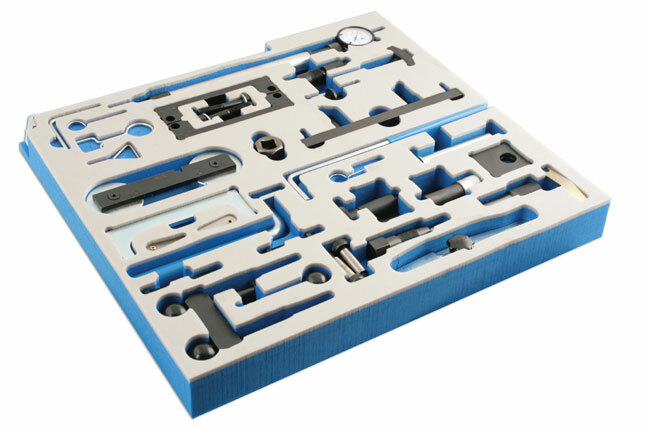 Timing tool set for Renault 16v engines. 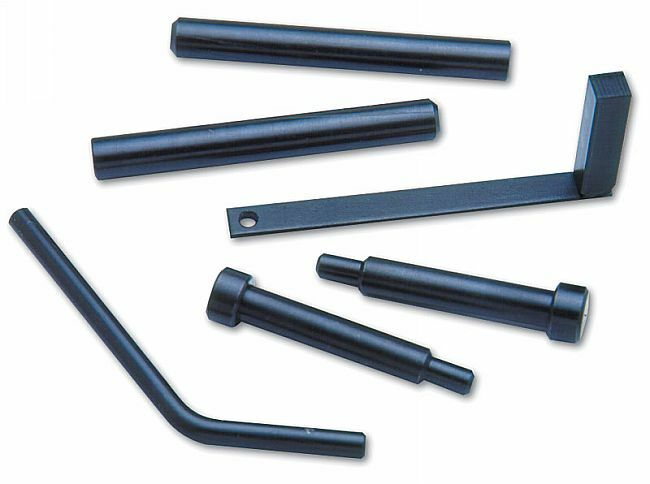 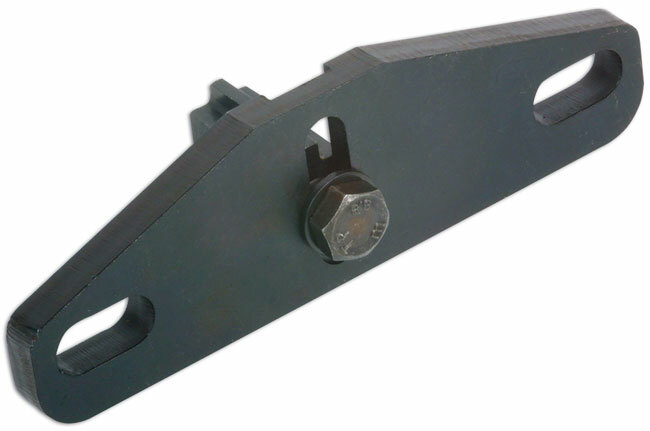 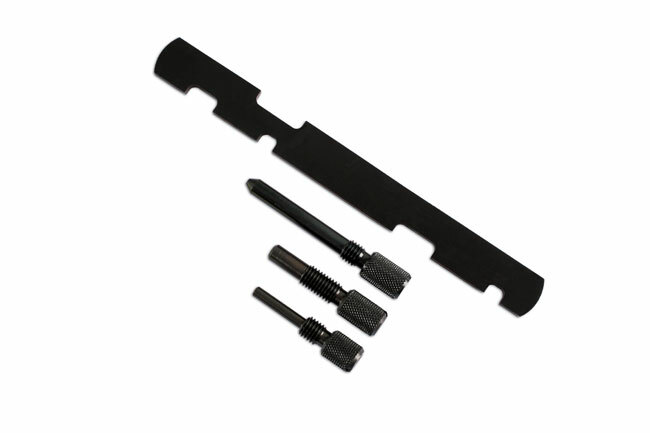 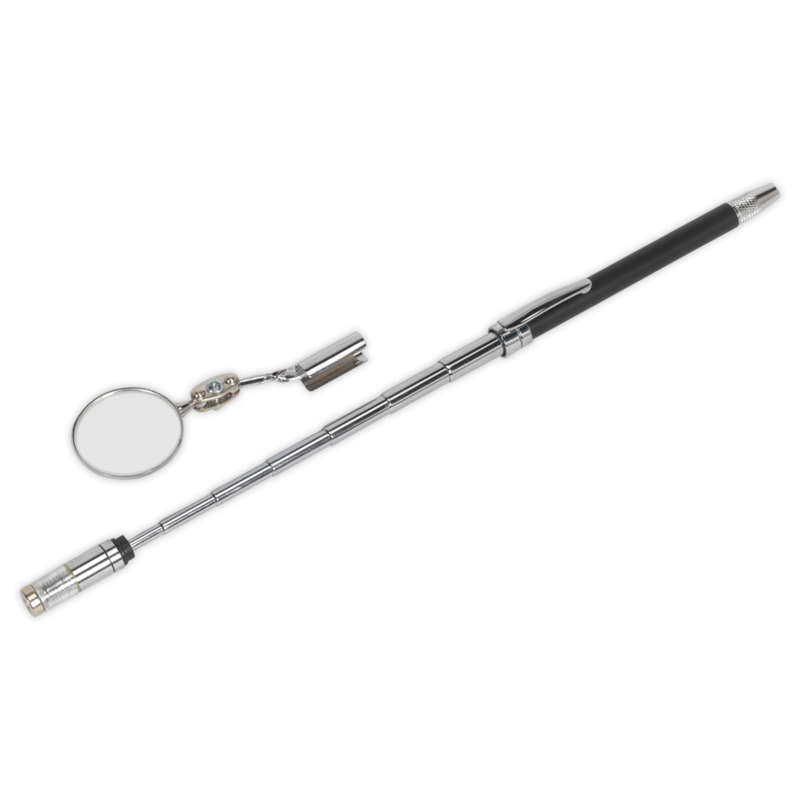 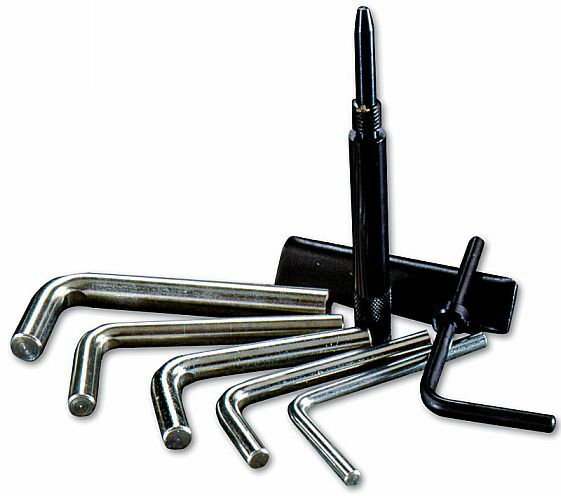 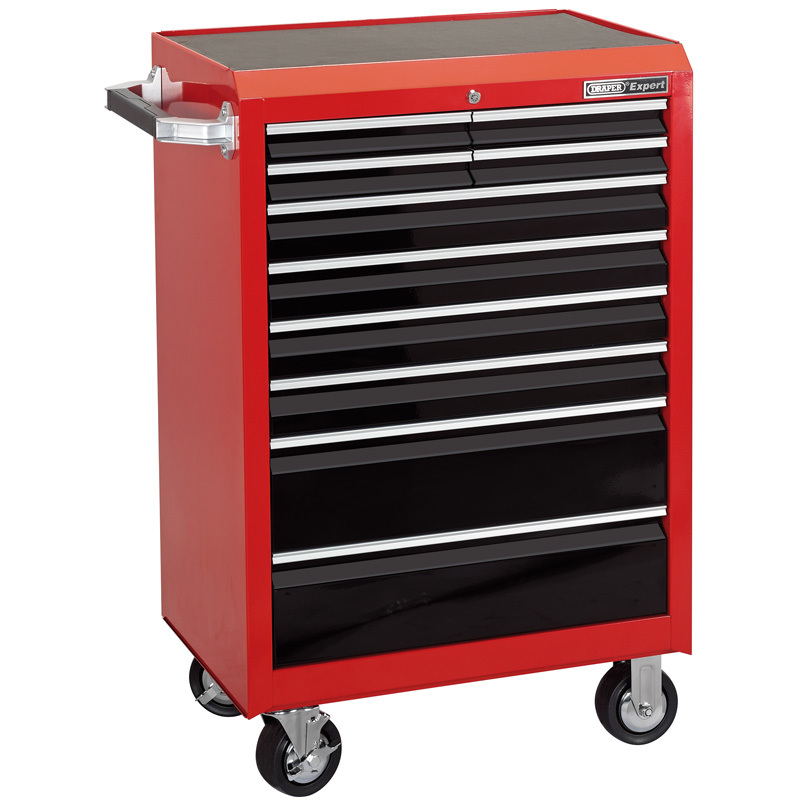 Includes camshaft setting tool, tensioning tool for auxiliary drive belt and crankshaft TDC timing pin for: Laguna | Safrane 2.0 | 2.5 16v 1996-2001 engines. 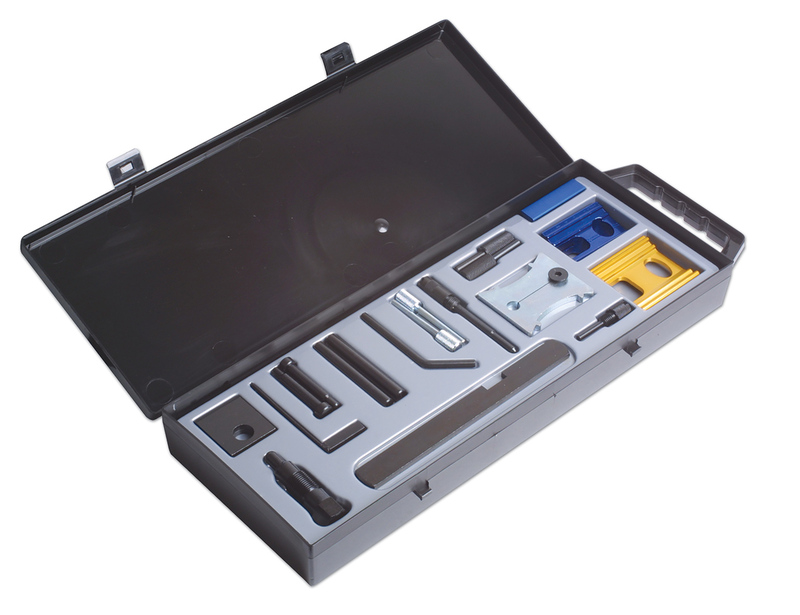 onal Information This radio removal tool kit is designed to help authorised audio specialists remove in-car sound systems. 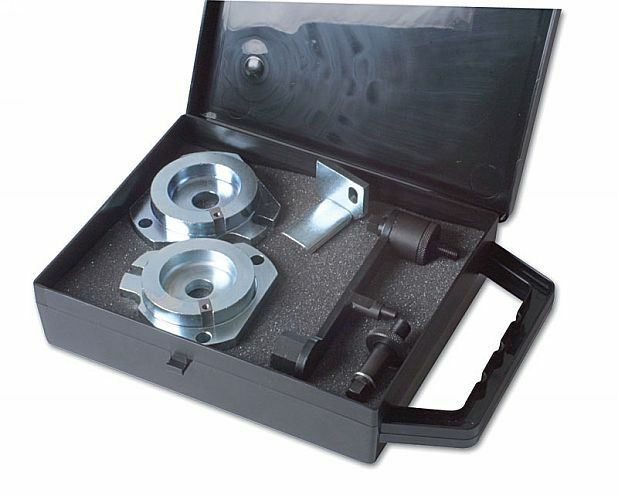 Suitable for: Audi | BMW | Ford | Mercedes-Benz | Volkswagen. 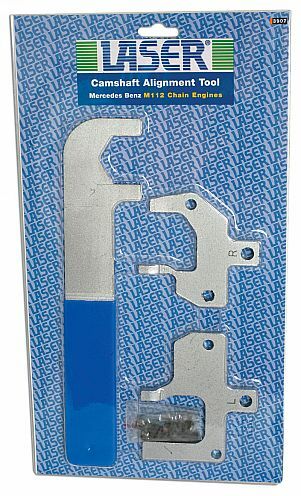 Handy storage wallet. 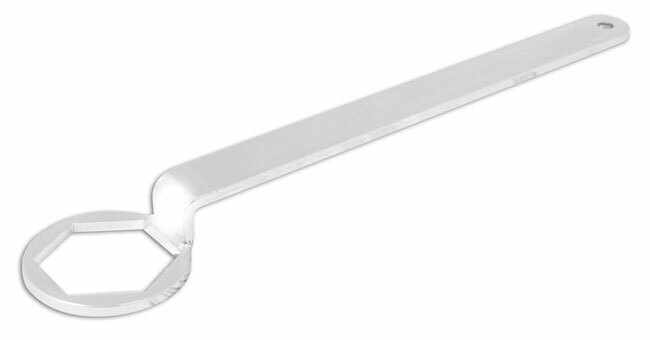 Time Saver. 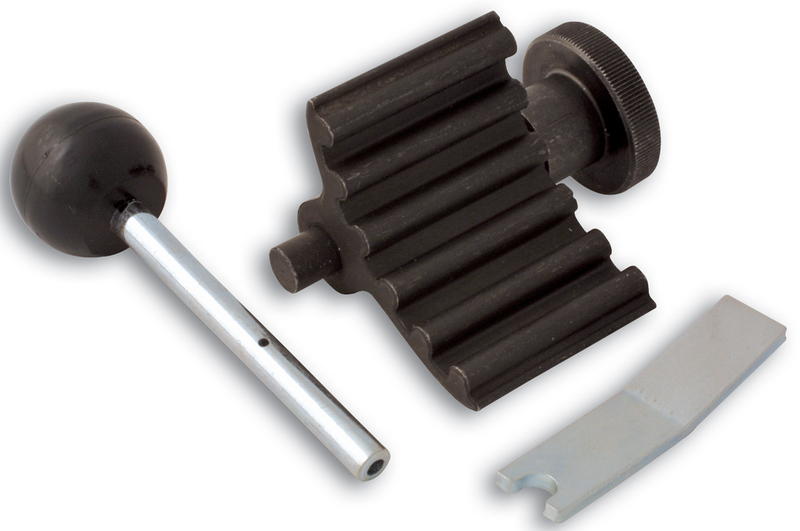 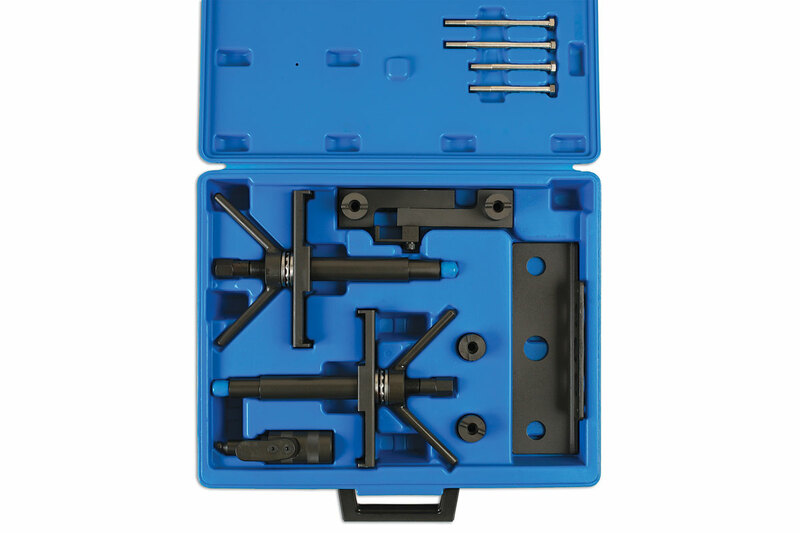 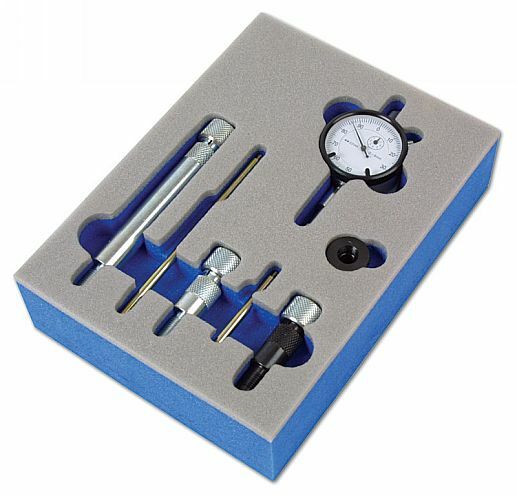 This set of timing tools enables the correct timing position to be held when servicing GM Ecotec 2.2/2.5 litre engines. 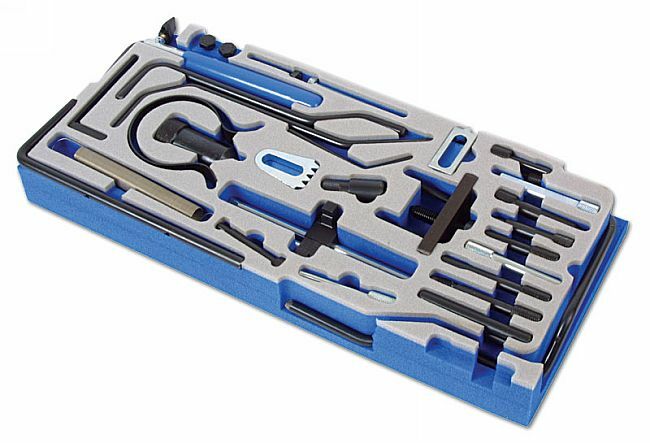 Also for use on some Renault engines. 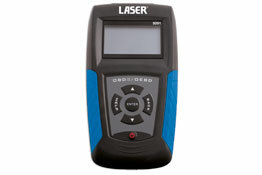 For Interstar 2.2 and 2.5 dCi. 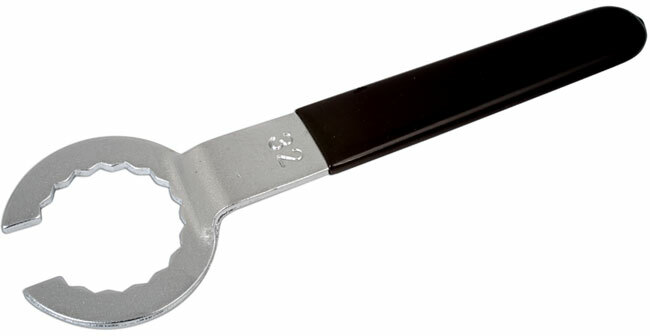 Engine codes: G9U, G9T (2002-2010). 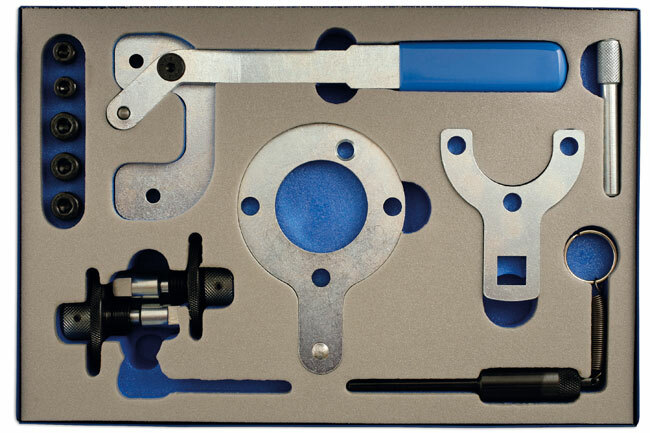 These timing tools have been introduced specifically for the 2.5 TDi (99-08) engines fitted to Audi: A4 | A6 | A8 | Allroad and Volkswagen: Passat | S4 Turbo | S6 V8 | Sharan TDi. 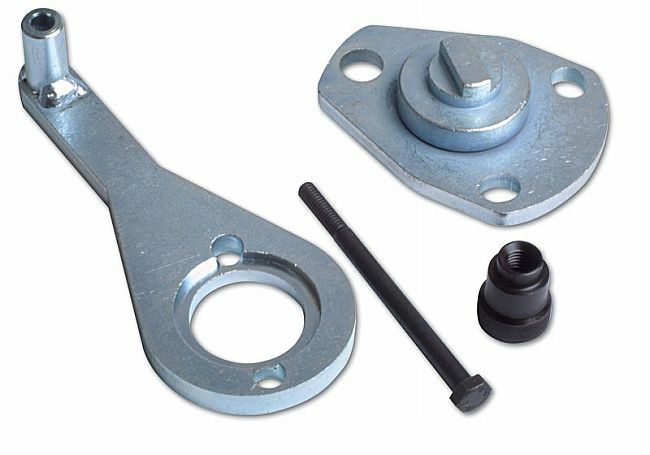 OEM Codes: 3242 | 3458 | 3369. 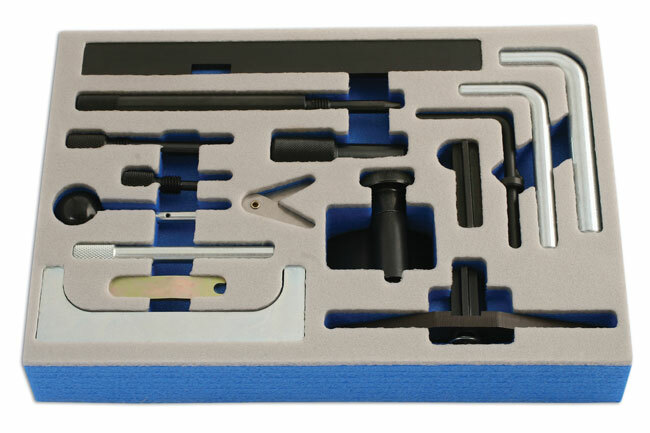 Timing tool Kit for Ford Duratorq engines including timing pump removal and installation tools for 2.0/2.4 TDCi. 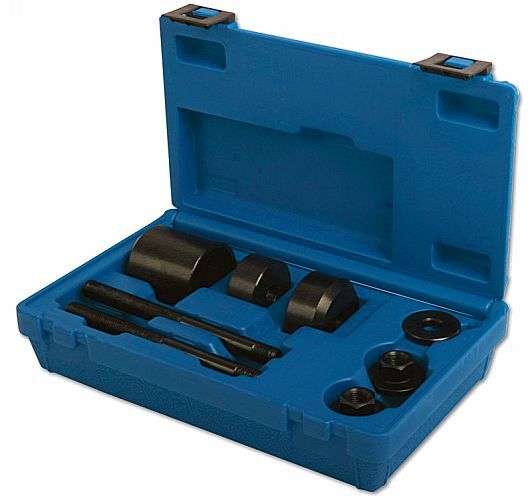 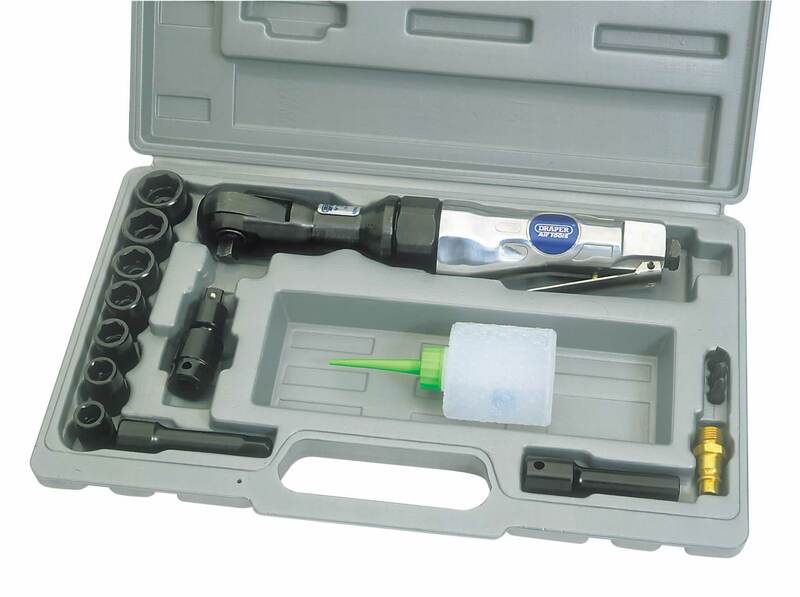 A comprehensive kit for the removal and fitting of the cambelt on popular 1.4, 1.6 and 2.0 VAG diesel engines fitted across the range. 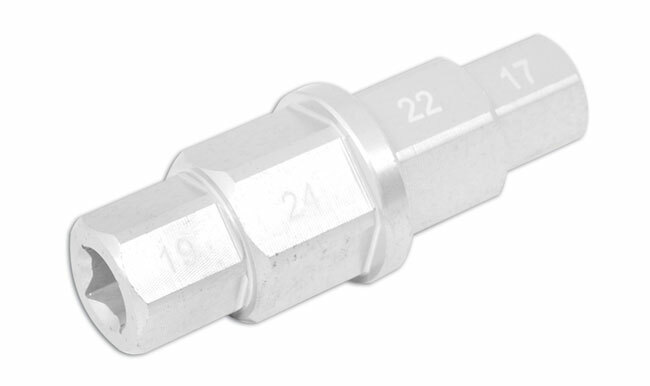 Also includes 2 pins for the gears in the cylinder head. 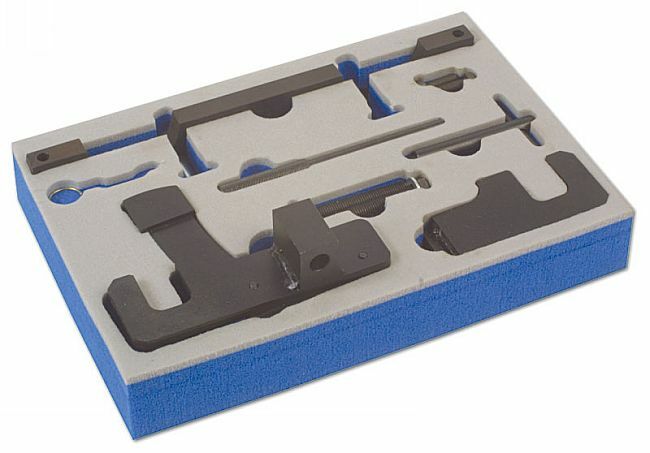 Engine Timing Tool Kit for BMW Mini One 2001-06(W10B16AA), Mini Cooper 2001-06 (W10B16BA) and Mini Cooper S 2002-06 (W11B16AA). 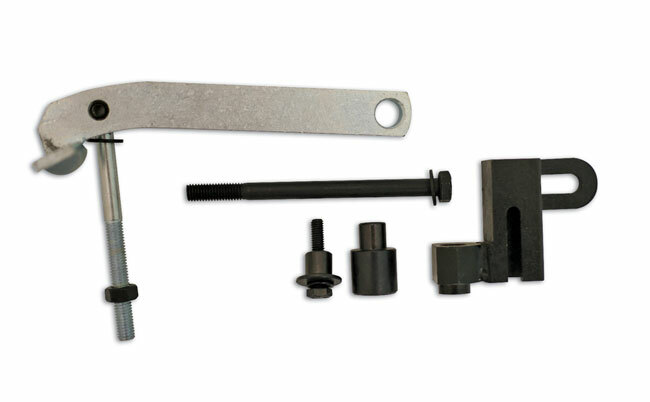 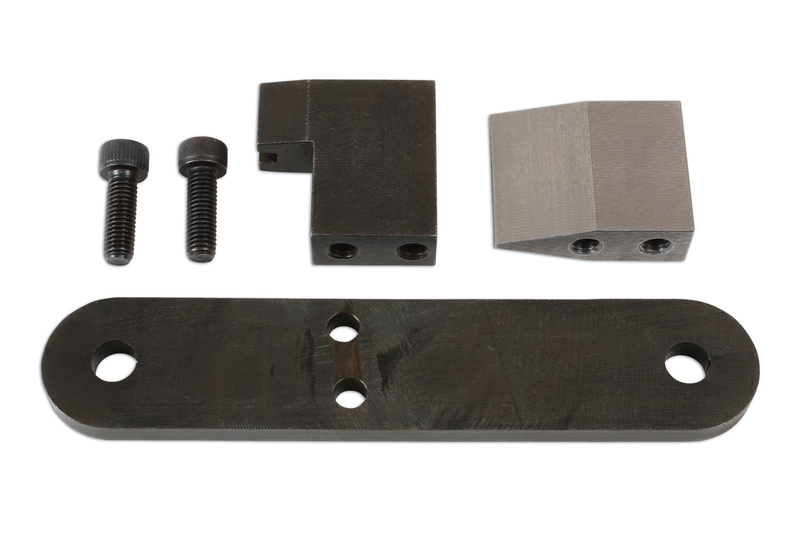 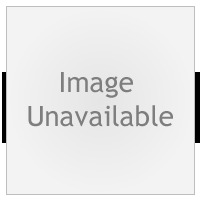 Set includes Camshaft Sprocket Holding Tool (OEM 11 8 250), Engine Support Bracket (OEM 11 8 370) and Tensioner Assembly Tool (OEM 11 8 240). 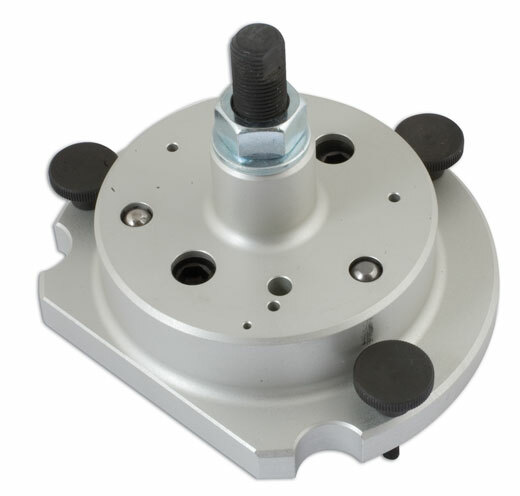 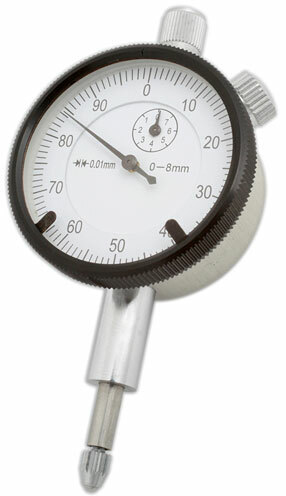 For use on the front spindle on most modern motorcycles including some BMW, Buell, Honda, Kawasaki, Suzuki, Yamaha.